Speedmonkey: Mallory Park's owner has gone into administration - because of NIMBYs? Mallory Park's owner has gone into administration - because of NIMBYs? 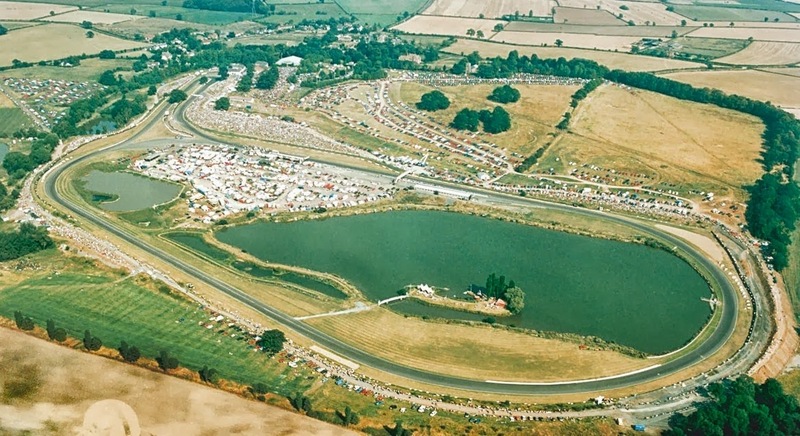 Mallory Park has been in operation since 1956. In 1985 a Noise Notice was issued by the local council which restricted racing to 40 Sundays a year - as well as 4 Saturdays and testing on Wednesdays. Hinckley & Bosworth Borough Council prosecuted Mallory Park in 2012, for breaching the Noise Notice, and the case was heard in August 2013. Mallory Park lost the case and immediately started to lose money as they had to cancel events and track days. Today Mallory Park Motorsport Limited has gone into Administration as a direct result of the Noise Notice and the court case - and subsequent loss of business. This seems to be a victory for peevish, small minded people who moved to the area after the circuit was built and racing started. This is the press release issued by Mallory Park Motorsport Limited, in which they pull no punches in explaining why this has happened, who is to blame and who will suffer (local businesses). The locals must be so happy with themselves. Update: Since publishing this several people have told me the locals were in favour of the scheme but that Mallory Park Motorsports Limited caused many of the problems. Notwithstanding that, MPML has gone into administration due to the Noise Notice being strictly adhered to. If anyone would like to present an alternative viewpoint please get in touch. "It is with great regret that Mallory Park Motorsport Limited has today announced that the company has been put into Administration. Mallory Park has been operating as a motorcycle and car race circuit for many years and has much history attached to the circuit. In 1985 a highly restrictive Noise Notice was attached to Mallory Park Motorsport Limited ('MPML') embracing all circuit activities but, significantly, a number of the provisions within the Notice were very much open to interpretation. MPML has enjoyed a long and fruitful relationship with Hinckley & Bosworth Borough Council over the years and a level of understanding had been established to work within the 1985 Notice. Regrettably, however, this arrangement was placed under scrutiny by local residents some of whom were new to the village, who made representations to HBBC to apply the rigid interpretation of the 1985 Notice. MPML and the local authority worked extremely hard with the residents to find a compromise solution but, unfortunately, the council decided to prosecute MPML on five charges of the Notice during 2012 which involved operating on a Saturday over and above the four days agreed in the Notice. The court hearing took place in August 2013 and ruled that MPML was guilty of this breach on the five occasions, but MPML was given the right to take the establishment rights of the 1985 Notice to a higher court. The immediate implication of the Court decision was to oblige MPML to observe the provision of the 1985 Notice, which allows only for 40 days racing on Sundays per annum (but with a dispensation to allow four Saturdays per annum) and testing on Wednesdays. MPML was accordingly obliged to cancel all track day operations, resulting in a significant loss of income (a situation also felt by local businesses and local employers) and use of the track for local community activities - young driver training etc. Overall, the imposition of such restrictions has inevitably led to MPML having a financially unstable business plan. Following the Court case, MPML immediately implemented the highly restrictive conditions of the 1985 Notice, thus effectively reducing the circuit activity to two days per week. Significant losses were being incurred which no business can sustain. It was clear that a more dynamic approach needed to be taken to overcome the significant hurdles and two weeks ago MPML developed an innovative three stage Recovery Plan to take Mallory forwards which would hopefully meets the wishes of the residents and form the basis of a viable business. Very constructive dialogue was held with the Leader of HBBC and senior officials and we were receiving very encouraging reactions from them to the Plan. A fundamental component of the Plan was the agreement of the Land Owner to reduce the annual lease rental, which had risen by over 40% over the last eight years and had reached untenable levels. Very regrettably, despite intense work by the MPML board, the Land Owner - Titan Properties Ltd - refused to make a substantive offer to allow the Recovery Plan to proceed. British Automobile Racing Club were keen to support MPML (and did so up to the final race meeting yesterday by paying for certain essential supplies allowing the meeting to place) and indeed would have supported MPML to ensure all its trade creditors were paid. To that end, it needed the support of the Landlord with a sustainable rent but, regrettably, this was not possible to achieve. Accordingly, having no firm visibility into 2014 and beyond, MPML directors had no option but to place the company into Administration.